Sixty-year-old Norwegian executive, Torkil Prytz Tyvold, has been missing in Rio de Janeiro since May 25th when he was last seen going to Ipanema beach. RIO DE JANEIRO, BRAZIL – Rio police are searching for 60-year-old Norwegian, Torkil Prytz Tyvold, who has been missing since Friday, May 25th. Tyvold was last seen walking towards Ipanema beach wearing swim trunks and slippers and donning a CR Flamengo shirt. 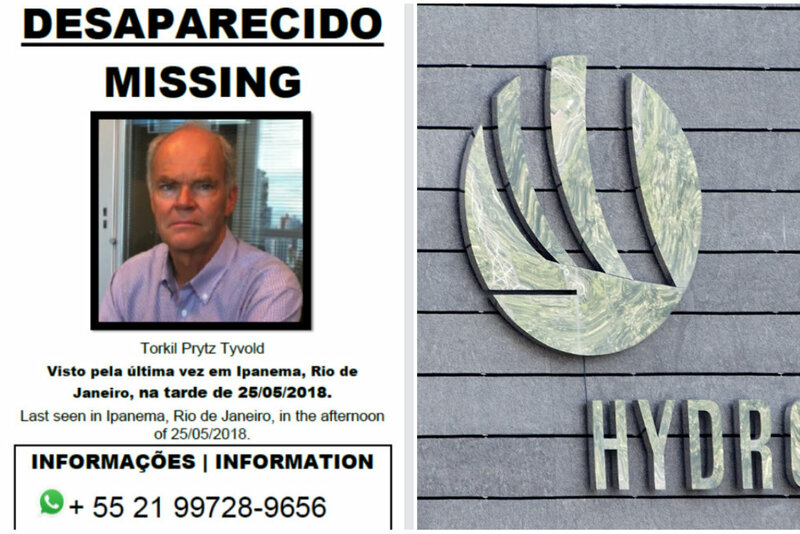 Sixty-year-old Norwegian executive, Torkil Prytz Tyvold, has been missing in Rio de Janeiro since May 25th when he was last seen going to Ipanema beach, image recreation. Tyvold is an executive for Norwegian metals and energy giant Norsk Hydro. He had been stationed in Rio de Janeiro since January of this year and had been living in an apartment-hotel in Ipanema. He was scheduled to board a plane back home to Oslo. When he did not make that flight, his wife contacted friends in Rio who immediately reported Tyvold’s disappearance to Rio police. Rio’s missing person’s department (Delegacia de Descoberta de Paradeiros, DDPA) has taken over the investigation and has combed Ipanema beach with helicopters and examined surveillance videos for any clues into the missing Norwegian’s whereabouts. The company added that it has “mobilized all the necessary resources to support the authorities in the searches.” Importantly, “it is too early to say anything about what may have happened to him”. The DDPA have asked anyone who may have information about Tyvold’s disappearance to contact the department at (21) 2202-0338 or (21) 2582-7129.